PHILADELPHIA–(BUSINESS WIRE)–Headline of release dated August 13, 2018, should read: Comcast Has Now Helped Connect More Than Six Million Low-Income Americans to the Internet Through Its Internet Essentials Program. First subhead of release should read: Company Expands Eligibility to Low-Income Veterans, Releases Seven-Year Progress Report, and Relaunches Online Learning Center with New Digital Literacy and Internet Safety Tools and Resources. Second subhead of release should read: U.S. Olympic Gold Medalists Jocelyne Lamoureux-Davidson and Monique Lamoureux-Morando Join Multi-City Tour. First paragraph, fourth sentence of release should read: According to the United States Census Bureau’s 2016 American Community Survey, about a third of low-income veterans do not have Internet service at home, and only about 60 percent own a computer. Comcast today announced it has now connected more than six million low-income Americans to the Internet through its Internet Essentials program, which is the largest and most comprehensive broadband adoption program for low-income families in the U.S. The company connected more than two million people in the last year alone, which is the largest annual increase in the program’s history. The company also announced it will significantly expand eligibility – for the eleventh time in seven years – to low-income veterans, nearly one million of whom live within the Comcast footprint. According to the United States Census Bureau’s 2016 American Community Survey, about a third of low-income veterans do not have Internet service at home, and only about 60 percent own a computer. Since 2011, Comcast has invested more than half a billion dollars to support digital literacy training and awareness, reaching more than 8.5 million low-income Americans. In addition, the company has sold more than 85,000 heavily subsidized computers. Comcast attributes some of the recent growth of Internet Essentials to its easy-to-use mobile application, which now accounts for more than a third of all enrollments. In addition, the company today released a new seven-year progress report. It contains detailed information about customer demographics and insights, as well as a history of the program’s evolution and key milestones. 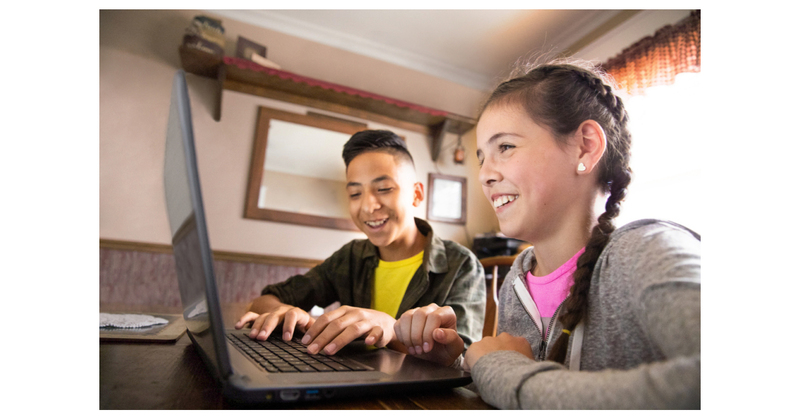 The company has also redesigned its Internet Essentials Learning Center with new content from Common Sense Media and ConnectSafely.org. The site now includes a variety of free videos, tools, and resources that can help individuals learn vital Internet safety and digital skills. U.S. Olympic Gold Medalists Jocelyne Lamoureux-Davidson and Monique Lamoureux-Morando, who were recently named as ambassadors and spokespeople for the company’s corporate values initiatives, will join Cohen on a multi-city tour to visit local communities and raise awareness about the Internet Essentials program. Both were instrumental in Team USA’s defeat of Canada for the gold in the Olympic Winter Games in PyeongChang, and are passionate advocates for gender equity. The move to extend Internet Essentials eligibility to low-income veterans is the second largest expansion in the program's history. For details on how to apply, please visit: www.internetessentials.com/apply. According to the U.S. Census American Community Survey, 81 percent of all U.S. households subscribe to broadband at home, but only 63 percent of households with an annual income of less than $35,000 do. To attack that problem, Internet Essentials has an integrated, wrap-around design meant to address each of the three major barriers to broadband adoption that research has identified. These include: a lack of digital literacy skills, the lack of a computer, and the absence of a low-cost Internet service. The program is also structured as a partnership between Comcast and tens of thousands of school districts, libraries, elected officials, and nonprofit community partners. Internet Essentials from Comcast is the nation’s largest and most comprehensive high-speed Internet adoption program for low-income Americans. It provides low-cost, high-speed Internet service for $9.95 a month plus tax; the option to purchase an Internet-ready computer for under $150; and multiple options to access free digital literacy training in print, online, and in person. For more information, or to apply for the program, go to www.internetessentials.com or call 1-855-846-8376. Spanish-only speakers can call 1-855-765-6995. Previous articleAmeritech Financial: Doctors Help With Physical Help, But Who’s Helping Them With Their Financial Health?